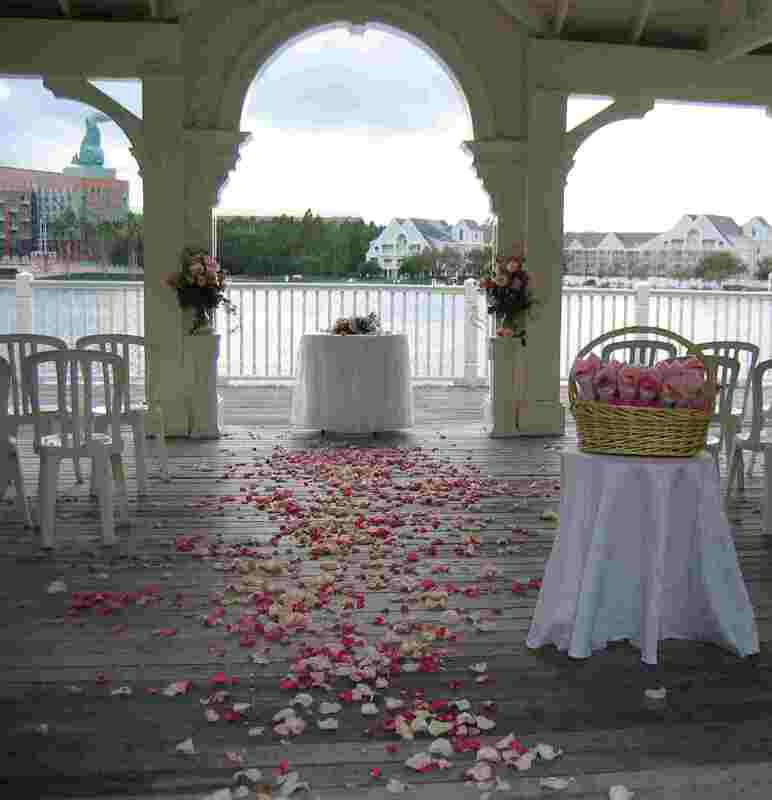 Thinking of doing something a little different for your Disney Wedding? 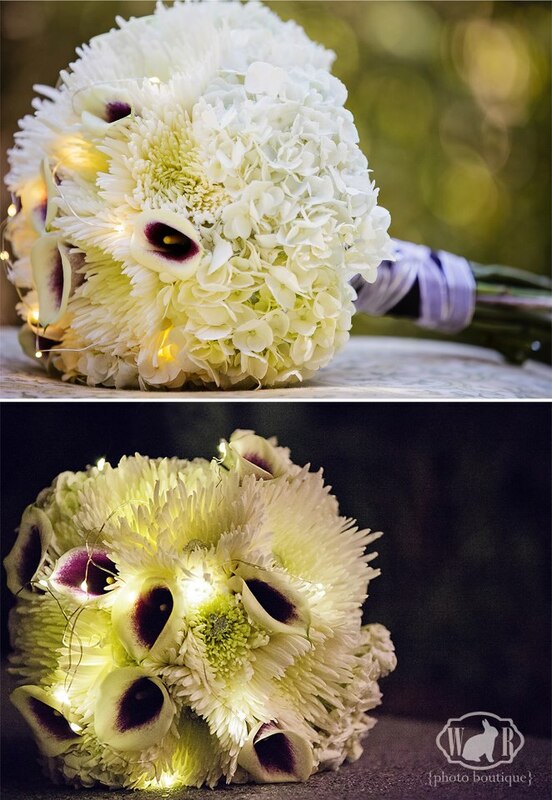 Trying to figure out how to add a little flair to your bouquet? How about adding lights to it!?! 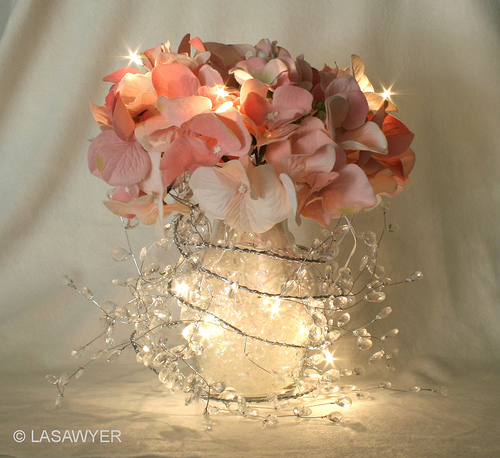 A recent Disneyland bride had Disney Floral create her bouquet with LED lights, which added a soft glow to the gorgeous flowers. 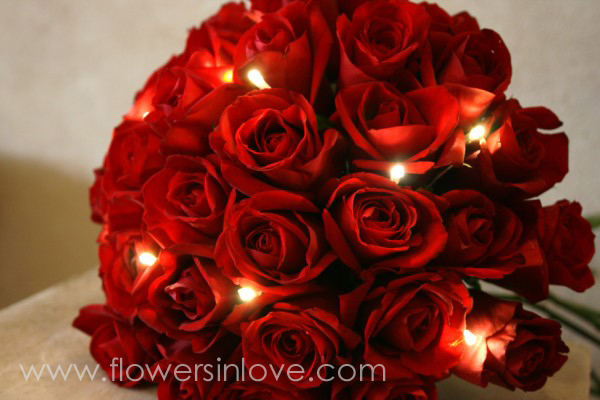 This is a great idea for an evening ceremony or for taking your bouquet to a dessert party. 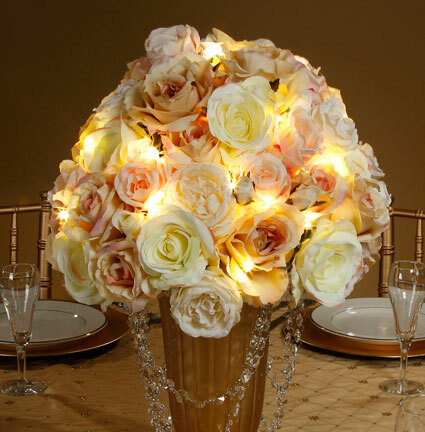 If your ceremony is in the middle of the day you could place your bouquet in a vase on your sweetheart table at the reception and turn the lights on while the ambient lighting is low. 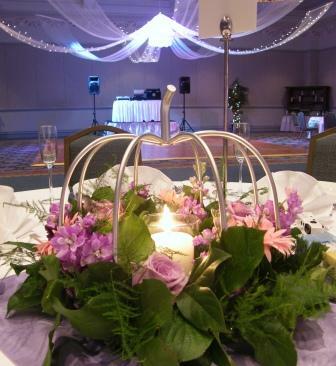 Or possibly talk to your floral provider about lighting your centerpieces! I love this idea!! I’m admitting right here, I wasn’t a bride that was that into floral. I know that sounds like blasphemy, but I wanted to spend money on other areas. 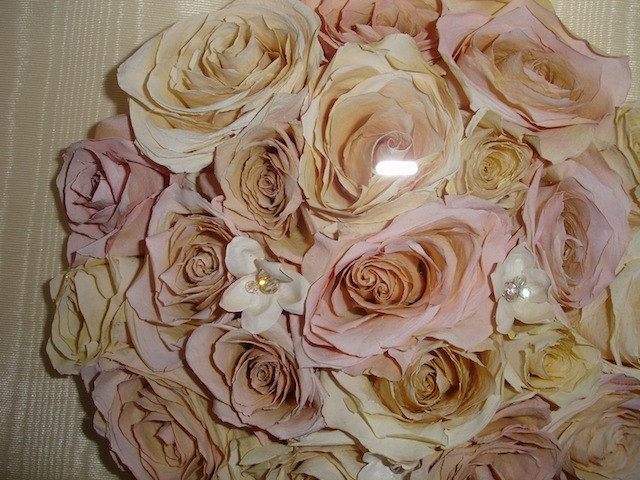 So naturally, I never thought I’d want to save my bridal bouquet and spend money on having it professionally preserved. 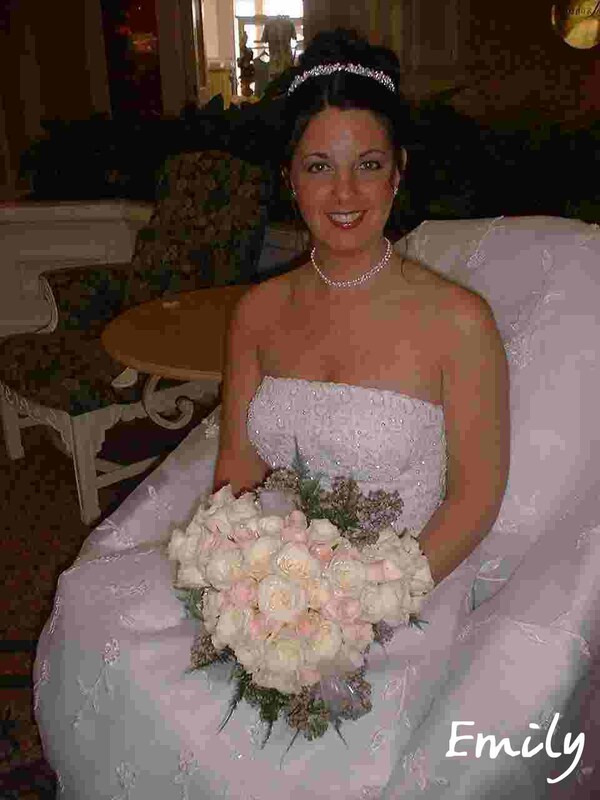 I made no plans prior to the big day and was completely content with letting the bouquet sit in the hotel room after the festivities and wilt away. The morning of my wedding, Disney Floral delivered my bouquet to my room. I opened the box, let out a giant sigh and fell instantly in love. I looked up and said: “I need to have this preserved.” It was a spur of the moment decision and one I still don’t regret. So the day after the wedding my parents dropped off the bouquet at the Grand Floridian concierge desk and contacted Keepsake Floral. 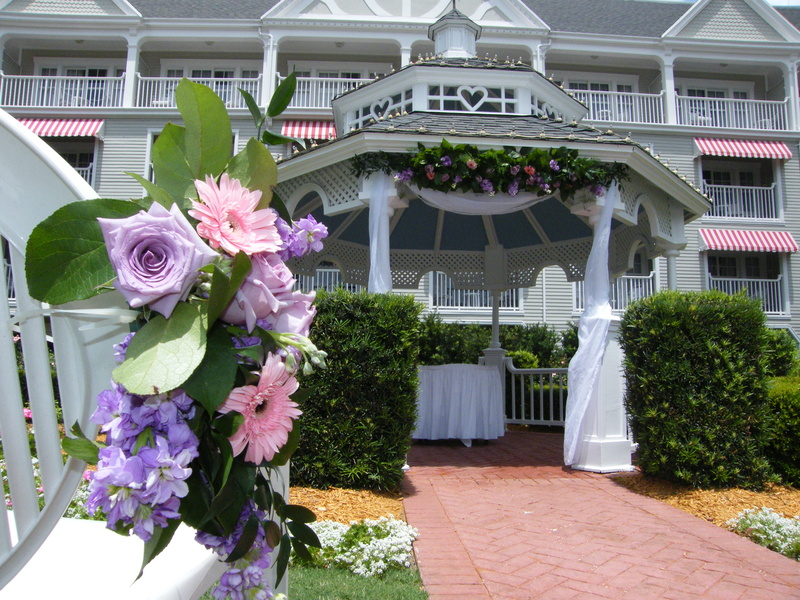 Keepsake Floral works with Disney brides and will come and pick up your bouquet at your resort. Typically brides arrange this service prior to their wedding and the bouquet is taken away after the reception. 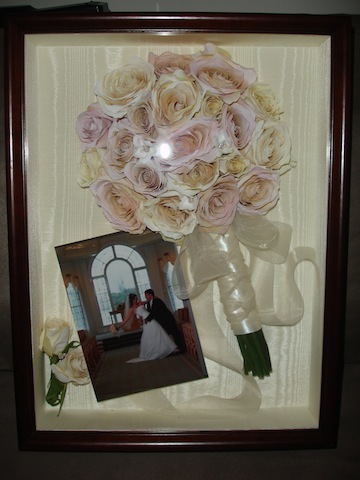 After the wedding, I worked with them to customize my shadow box and Keepsake got to work on my display. 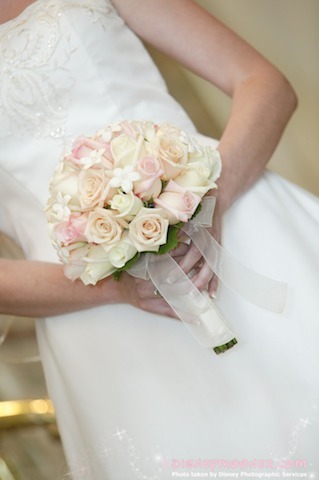 Brides can keep their preserved floral simple with just their bouquet or add in many items from their wedding day. I added in my husband’s boutonniere and a favorite wedding image. While their services are not cheap, I felt that having my actually bouquet was worth every penny spent. I was really pleased with the final results. My shadow box is hung in our dining room and not a day goes by that I don’t glance at the flowers. This bride is very happy she made the last minute decision to create a keepsake I can cherish forever. 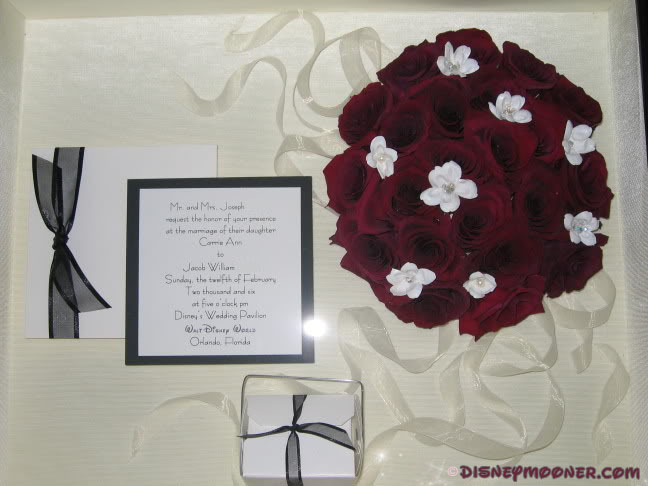 Many other Disneymooner brides have used Keepsake Floral and have shared their own reviews and photos. Totally happy with the finished product. They were great to work with and you can have as many phone consults as you think you need. 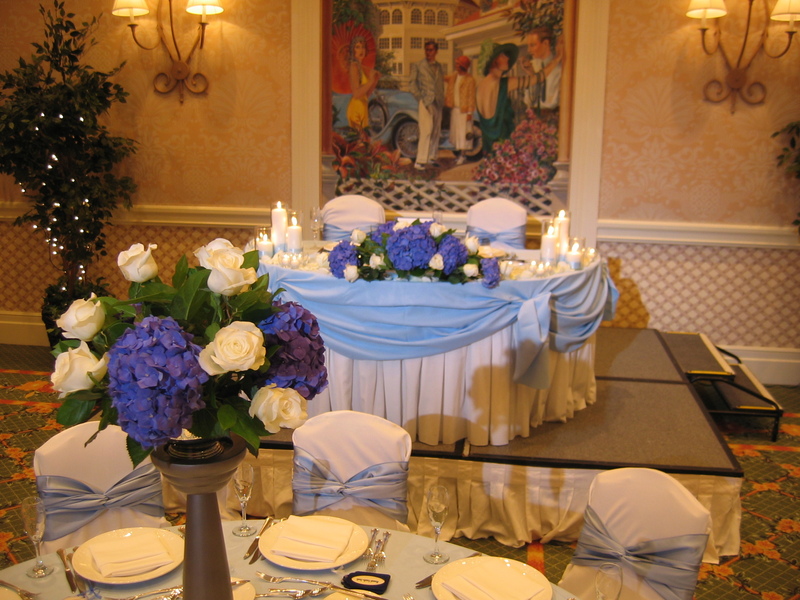 And Disney did the hard part – getting the flowers to them after the reception. Be sure to check out the forums to find out more about the experience and pricing. 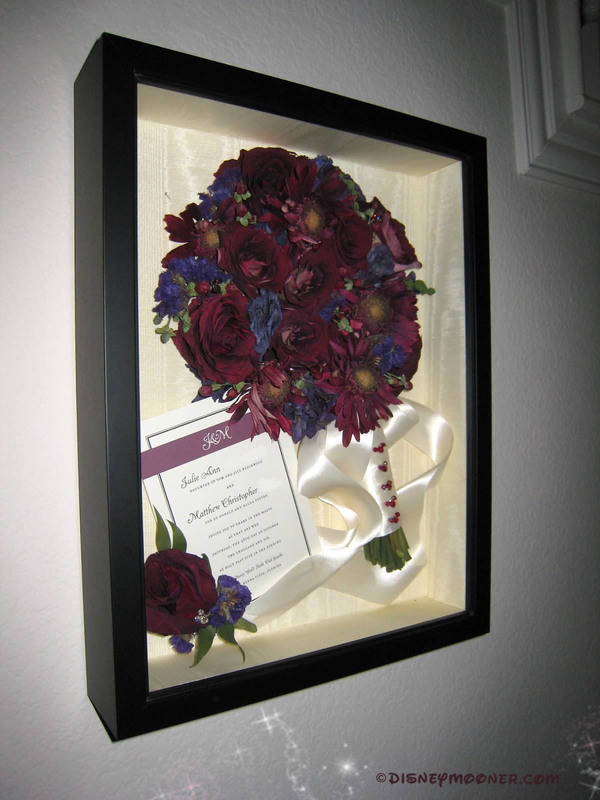 Visit Keepsake Floral for details on their service. Have you used this vendor? Have you used another floral preservation vendor? Share your experiences with us.